Faculty Links - Welcome to Albany Junior Senior High School! The Aware program is a fluid, dynamic software program that allows teachers and administrators to disaggregate data and receive instant results through a visual browsing format. This program allows district leaders, campus administrators, and teachers to have a single place for planning and assessment. GMAIL is the Albany I.S.D email system. Hosted by google, GMAIL allows teachers and students the opportunity to locate and share documents through a unique online system. txGradebook is an integrated classroom management system that allows teachers to maintain and post student data, including attendance and grades. The TxEIS PLUS solution is Web-based, fully integrated, and supports the operational and reporting requirements of Texas schools. 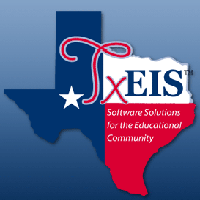 Hosted at a secure data center and supported by trained service technicians, TxEIS PLUS is the most reliable and enhanced student information system in Texas!